Earlier this year, California’s Insurance Commissioner Dave Jones requested that insurance companies in the state ramp down their investment in thermal coal. Under the proposal, California-based insurers with written premiums over $100 million nationwide (and those managing their assets) were asked to divest in any company that generated 30% or more of its revenue from the ownership, exploration, mining, or refinement of thermal coal. While the “Climate Risk Carbon Initiative” does not carry monetary penalties, insurance companies’ choice to comply (or not comply) was publicly announced on June 1. In a business climate where investors and customers increasingly favor environmental, social, and governance (ESG) responsibility, this request was probably hard for insurers to ignore. But for companies and industries that find themselves in similar situations, deciding whether or not to comply with such requests is only the first step. 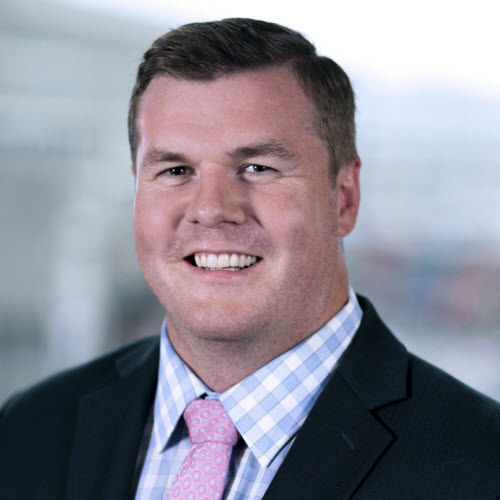 Following that choice, corporate investors need to identify which portfolio holdings require divestment — not always an easy prospect given that manually reviewing investments can be extremely time-consuming and costly. Perhaps more challenging, however, are the limitations of industry standard identifiers. GICS, TRBC, BICS, and ICB identifiers assign companies to a sector based on where 50% or more of their revenues originates. Under this identification model, companies that generated less than 50% of revenue from thermal coal could be missed, problematic given that the divestment requirements of this initiative start at 30% of revenue. Companies facing this issue require deeper industry and sector classifications to help determine where divestment is needed. 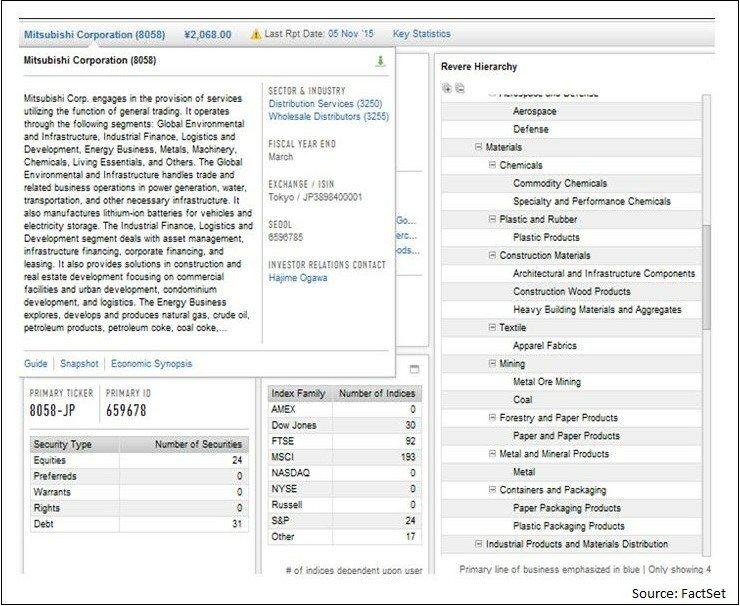 Using tools that go beyond industry standards provide the highly specific industry information needed to map companies on a multi-dimensional level, showing primary and ancillary businesses of an investment. This information can then be used to create the divestment plans required to adhere to regulations, initiatives, or even social movements similar to the Climate Risk Carbon Initiative. 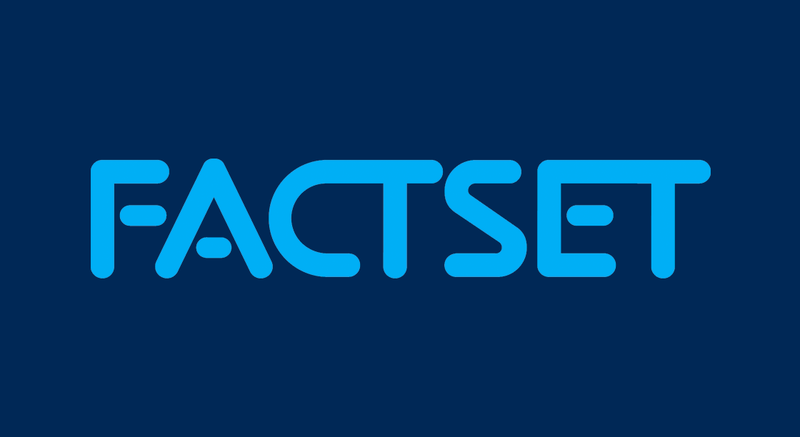 FactSet’s Revere Hierarchy with revenue, for example, can show cases where income from thermal coal would be too small to raise flags for standard identifiers, but large enough to warrant divestment. Revere also gives users the ability to differentiate thermal coal from other coal derivatives, like metallurgic, for more precise portfolio management. In 2015, California Governor Jerry Brown signed Senate Bill 185 into law, requiring the state’s two public pension funds to divest in companies that derived 50% or more of their revenues from thermal coal. New York state is considering similar measures regarding its pension plan investment process. The key point here is not related to the specific initiative facing the California Insurance industry, but rather that “wall of shame” regulation approaches are increasingly common. The California Climate Risk Carbon Initiative offers a model for how similar ESG divestment requests could impact organizations in the future and why it’s critical for corporate investors in all sectors to identify tools that can streamline the process as needed. 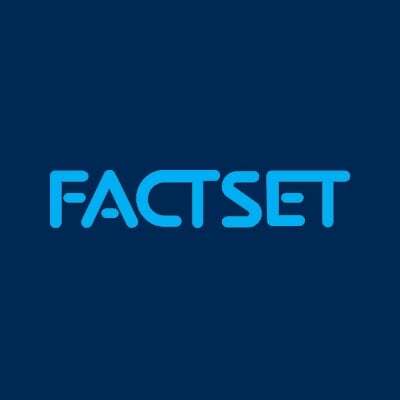 Tom joined FactSet in 2012 and is based in Boston.